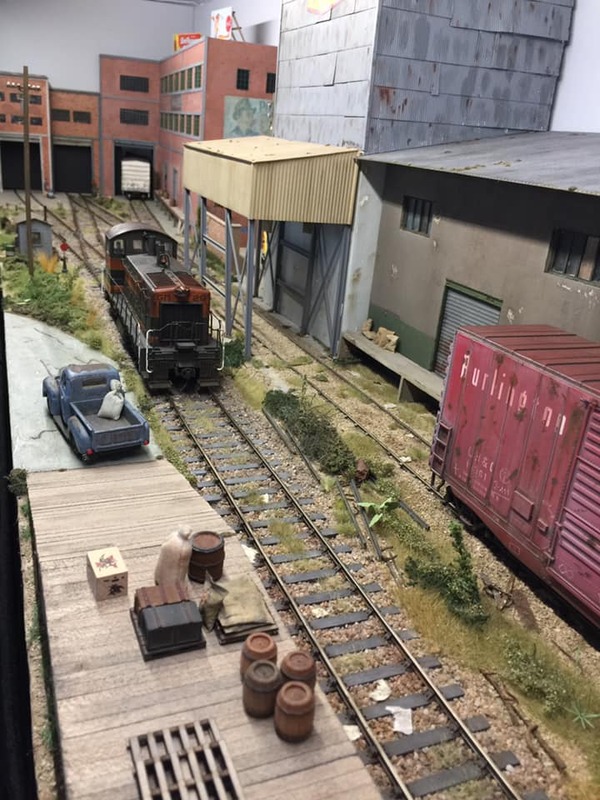 This month we are taking a look at an industrial layout created by Lionel Garing of Strasbourg, France. 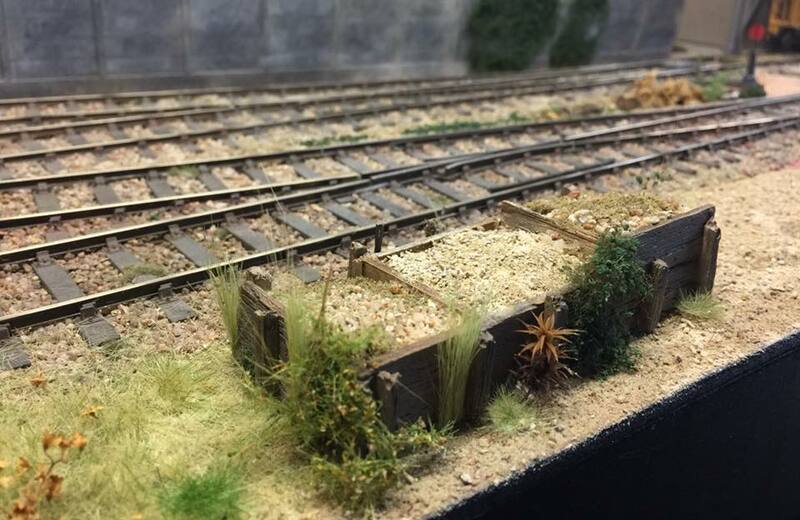 Lionel has designed and constructed a highly detailed O Scale shelf layout. 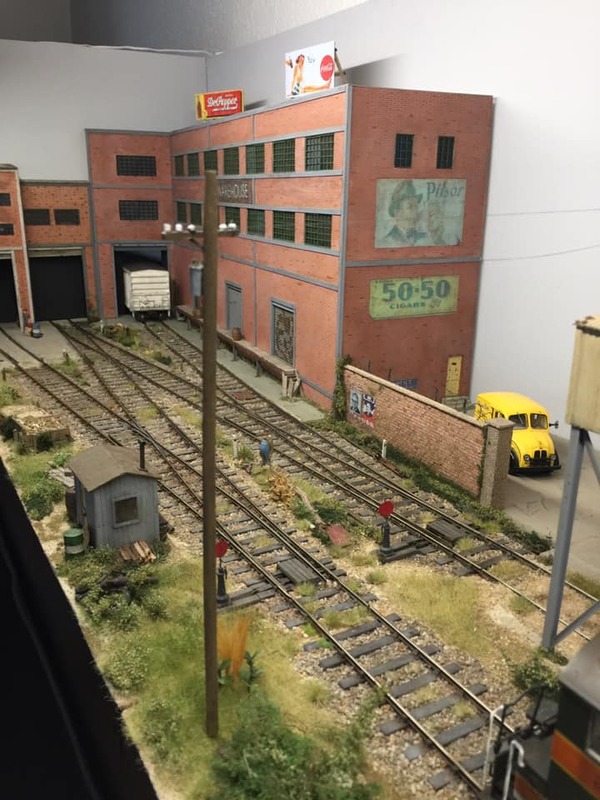 The layout depicts and industrial area that might be found in any North American inner city. 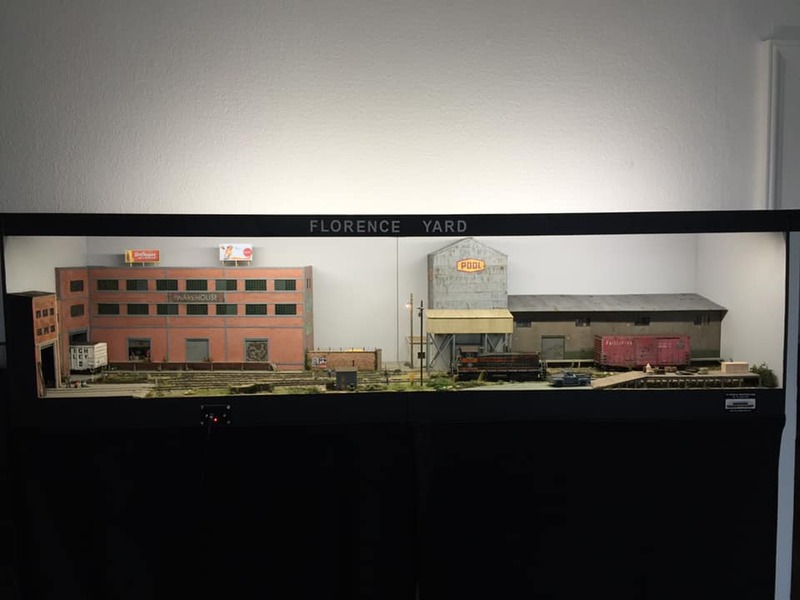 The layout measures 6.5 feet long and 1.5 foot wide. Power for the layout is DCC powered by NCE. The motive power for the layout is an Atlas Great Northern SW1200. Typical rolling stock is two box cars, one hi-cube, one gondola and one 3-bay hopper. Staging is provided by a 3 foot long yard off the left side of the visual area. 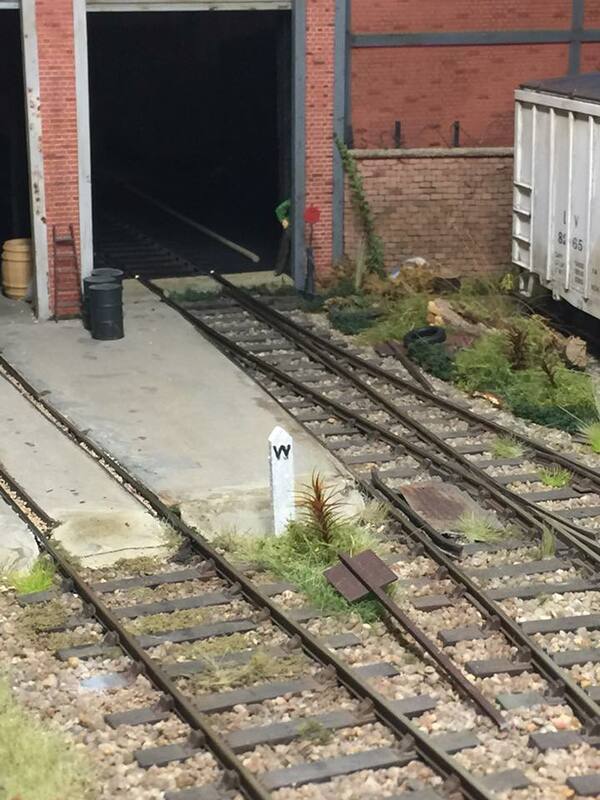 Within the visual area of the layout, three Peco Y turnouts provide access to the sidings. The layout measures 6.5 feet long and 1.5 foot wide. Click for enlarged view. Below is a short video of the layout. NOTE: This video is MP4 and should play in most common browsers. 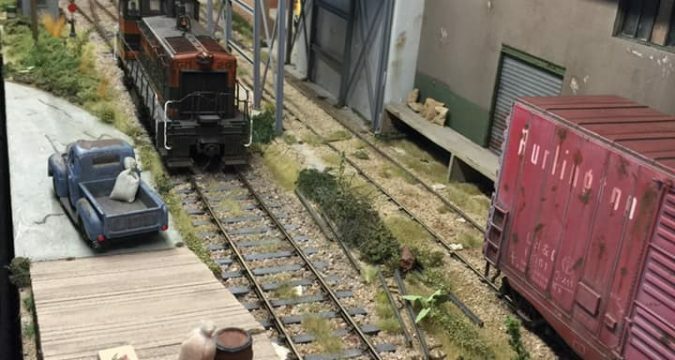 Lionel’s layout is a great example of what can be done with O scale in a minimal space. 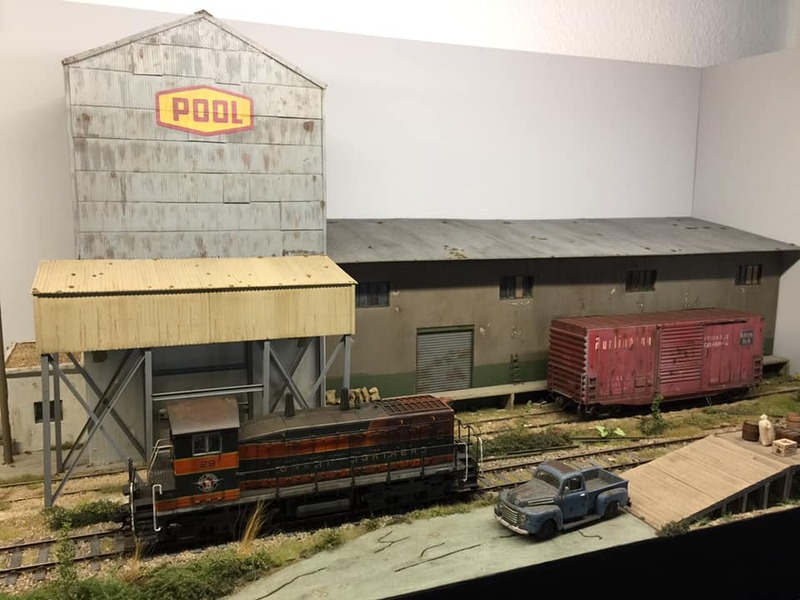 To see more of Lionel’s work, he provides periodic updates to the FaceBook Micro/Small Model RR Layouts Group. Very nice. 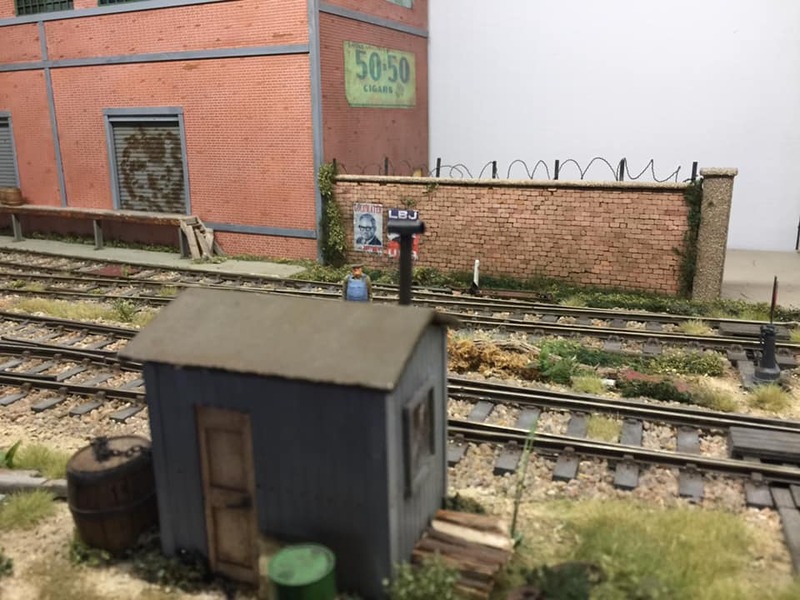 O gauge can be done in a small space. What a lovely layout. Given the size of the components/models the space doesn’t feel compromised at all. While the operation seems obvious I would be interested in learning more about how he operates the layout. Very nice, it shows how much operational capability can be had with only 3 Y-turnouts, and in such a small space. This plan would work really well in On30. Lionel’s scenery is top notch as well.